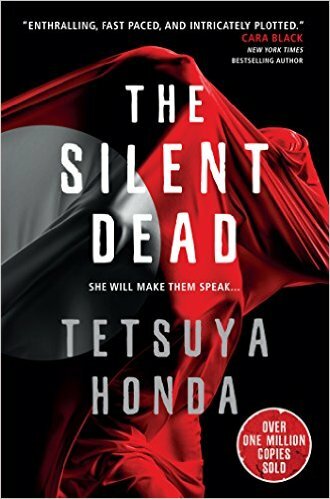 Set in Tokyo, The Silent Dead is a dark and compelling crime thriller that takes its reader on a tour that stretches from the respectable suburbs of the city and into the horrific belly of the "dark web" underground. At twenty-seven, Detective Reiko Himekawa is unusually young to be a squad leader in the Homicide Division, but her unique powers of observation and impressive ability to solve crimes have given her an edge in the male dominated world of the Tokyo Metropolitan Police. Her only possible clue is a long shot lead to a website spoken about only in whispers on the Internet, something on the dark web known as "Strawberry Night." But while she is hunting the murderer, the murderer is hunting her: reaching back into her own troubled past, Reiko must give a voice to the silent dead and find their killer, before the killer finds her. Translated from Honda’s original manuscript and publishing simultaneously in the UK and the US, this is the title’s English-language premier. TETSUYA HONDA is one of Japan's best-selling authors with the on-going crime series featuring Reiko Himekawa, a Homicide Detective with the Tokyo Metropolitan Police. The Silent Dead (Japanese title: Strawberry Night), is the first of five novels, and has sold over 4 million copies in Japan alone, and is the basis for two TV mini-series and a major theatrical motion picture. Honda lives in Tokyo.